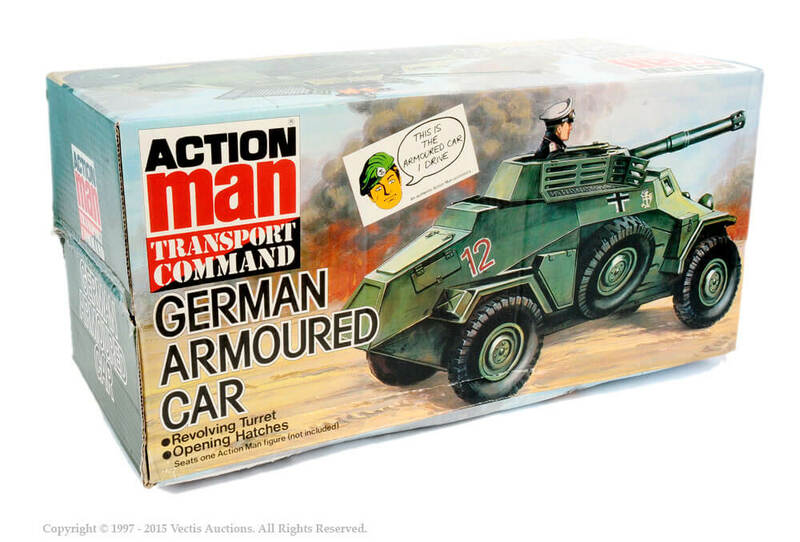 Action Man Transport Command's 4 wheeled (based on Type 222 'Panzerspähwagen') German armoured car was a late-comer to the range and was only produced for one year. 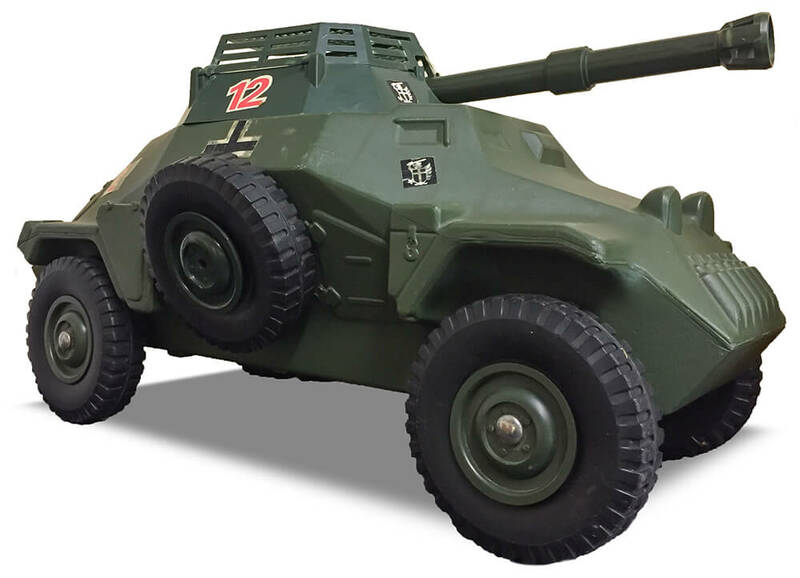 The turret revolves, the gun moves up and down and the hinged hatch cages on top open up in a gull-wing style. Only enough room for one Action Man to stand inside. The prototype is held at the Victoria & Albert Museum. 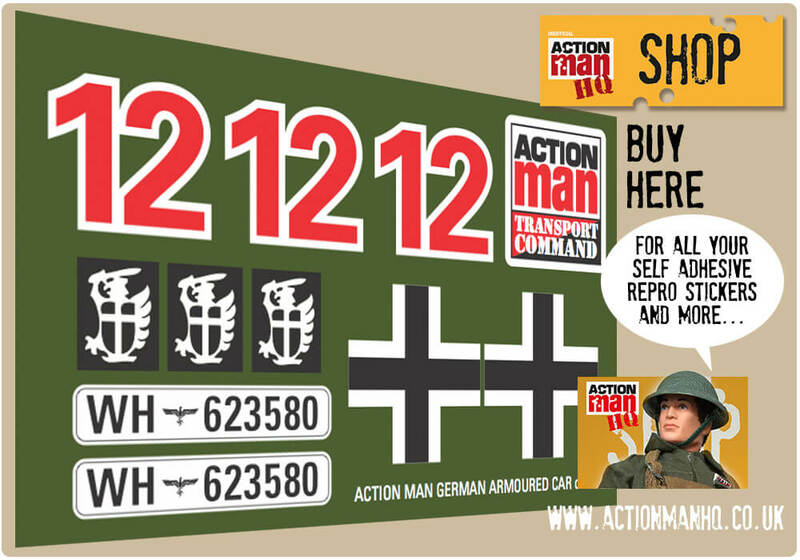 Buy Reproduction Stickers here. 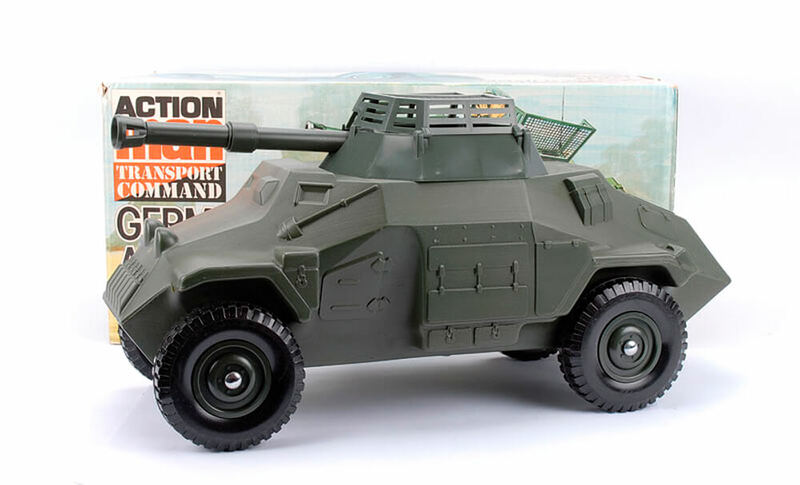 The blow-molded German Armoured Car does not appear in any Equipment Manuals as the last was circulated from 1981. It can be considered a rarity. 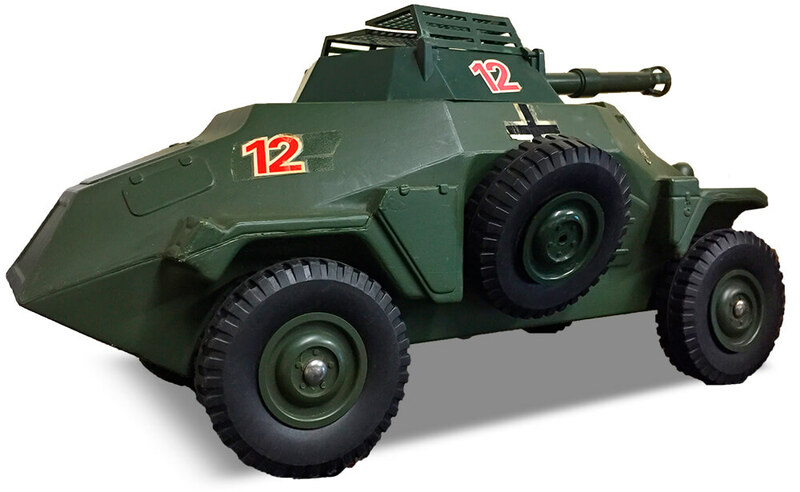 The Armoured Car was blow-molded in the Coalville Pailtoy Factory. 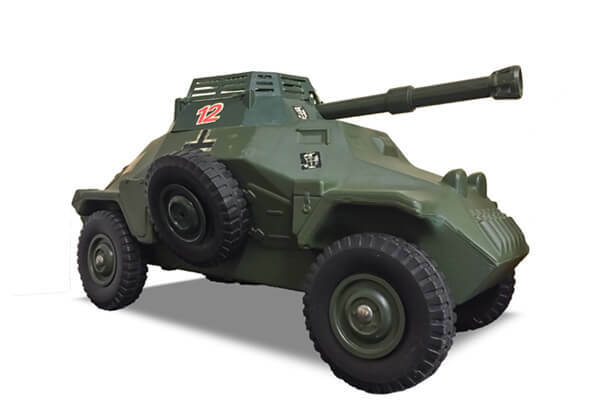 The vehicle was ideally suited to the German Panzer Captain of 1981. It is of tough construction, however the turret hatches are prone to damage at the hinge. The box was very generous with 'stars' - giving away 8 of them to put towards more Action Man products.